Cool! Save an average of 20% on FTD with 9 Coupon Codes, and 33 Deals! Details: Save Up to 25% Off Spa & Fragrance Gifts! Featuring Vera Wang, Crabtree & Evelyn, Caswell Massey & More! No Code Needed, Discount Applied At Checkout. Some Exclusions Apply. See Site For Details. Offer Expires 5/31/14. Details: Save 20% On The Vera Wang Collection Of Flowers & Gifts. Offer Ends 10/30/15. Details: Introducing the FTD Jewelry Boutique! Save 10% on stunning necklaces, earrings, and pendants. Distinctive jewelry for memorable occasions. Some Exclusions Apply. Details: Shop & Save 20% On Birthday Flowers, Plants, Gift Baskets & Jewelry! Offer Ends 12/31/14. Details: Take up to $14 Off a Dozen Red Roses, Fresh Directly from the Farm. Our finest 16-inch red roses are perfectly accented with lush greens to create a bouquet that shares your sweetest sentiments. Details: Special Delivery! Let the stork also deliver flowers to mom & baby! Shop Now and save 20%! Some exclusions apply. Offer Expires 12/31/15. Details: Save 20% On Gift Baskets From Godiva, Ghirardelli, Starbucks, Mrs. Fields Cookies & Much More! Find The Perfect Gift For Everyone On Your List! Some Exclusions Apply. Details: Shop our best selling arrangements, starting at only $25.50, that will make anyone happy on any occasion. Details: Save 20% on Gourmet Wine and Champagne Gifts! Gourmet treats for friends, family, or clients. Order one today to show your appreciation. Offer ends 12/31/14. Details: Save 20% and send a variety of balloons in bright happy colors or a lovable teddy bear to someone special for birthdays, get well gifts, and more! Offer expires 12/31/14. Details: Get 25% Off Come Rain or Come Shine. Expires on 03/15/2014. Details: Get 25% off. Expires on 12/18/2013. Details: 25% Off On All Purchases of Flowers, Plants, And Gifts. Details: Receive 20% off sitewide. Limited time offer. Details: Get $10 off your order. Exclusions apply. Expires on 12/31/2013. Details: 20% Off Flowering Confetti Daisy Bouquet. Exclusions apply. See merchant site for more details. 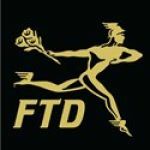 Details: Get FTD Spring Collection starting at $19.99. Expires on 03/15/2014. Details: For a limited time - A spring favorite, Come Rain or Come Shine starting at $29.99. Expires on 03/15/2014. Details: Best Seller Discount - Dreamland Pink for $19.99. Expires on 03/15/2014. Details: Get 25% Off Rush of Color Assorted Tulips. Expires on 03/15/2014. Details: Save $14 Off The Memorable Moments Bouquet, only $56.00! A Richly Romantic Way To Create A Memory They Will Always Cherish. Place Your Order Today. Details: Get Up to 50% Off gifts that sparkle from the jewelry shop. Ends 12/31/14. Details: Get A spring favorite, Come Rain or Come Shine starting at $29.99. Expires on 03/08/2014. Details: Save 20% Off The Red Romance Rose Bouquet From $52 Vase Included! Offer Ends 12/31/15. Details: TheRawFeed Exclusive! Get an upgrade to the best version of select bouquets & even greater savings. Expires on 03/19/2014.